Palestinian president Mahmud Abbas said Friday he was freezing contacts with Israel over new security measures at a highly sensitive Jerusalem holy site, after deadly clashes erupted earlier in the day. Abbas said in a speech that the freeze would stay in place until Israel lifted the measures at the Haram al-Sharif mosque compound, which Jews refer to as the Temple Mount. 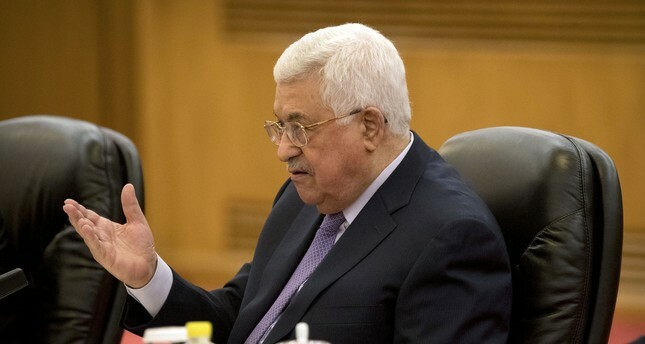 "I, on behalf of the Palestinian leadership, announce... a freeze of all contacts with the occupation state on all levels until Israel commits to cancelling all the measures against our Palestinian people in general and Jerusalem and Al-Aqsa mosque in particular," Abbas said to applause from Palestinian officials. Abbas called the measures "falsely presented as a security measure to take control over Al-Aqsa mosque". It was unclear if the move would apply to the quiet security coordination that exists between the Palestinian Authority and Israel, widely seen as having helped prevent a wider outbreak of violence in recent years. The two sides have a range of contacts on various other issues, with recent deals announced related to water and electricity. Israeli-Palestinian peace efforts have however been at a standstill since a US-led initiative collapsed in 2014, though US President Donald Trump has been seeking ways to restart talks. Abbas's speech came after three Palestinians were killed and several hundred wounded Friday in clashes between protesters and Israeli forces over the new security measures at the holy site. The unrest followed a decision by Israeli ministers not to order the removal of metal detectors erected at entrances to the compound, which includes the Al-Aqsa mosque and the Dome of the Rock, following an attack nearby a week ago that killed two policemen. In anticipation of protests on Friday, Israeli police barred men under 50 from entering the Old City in annexed east Jerusalem for prayers, while all women were allowed in.